Looking For A Pet-Friendly Hotel While Traveling? When you walk into our house it’s pretty obvious we love our cats dearly. You’ll find toys and cat furniture in just about every room as we consider them a part of the family and want nothing more than for them to be healthy and happy. I’d love to be able to travel more but we actually very rarely do because we don’t want to stress the cats out too much with boarding and completely uprooting their routine. Thanks to a pet-friendly hotel, though, we can travel and have our cats with us, too. I’m so glad that more hotels are becoming pet-friendly like Extended Stay America has. Here are some reasons I especially love Extended Stay America when I’m traveling with pets. *18% off 1-29 nights offer good for one reservation booked on ExtendedStayAmerica.com by 2/21/17, with a check-out date on or before 6/30/17. Discount applied at hotel upon check-out. Reservations based on availability. Offer cannot be combined with any other offer or negotiated or special rate, including but not limited to Advanced Purchase. Valid only on original reservations. Discounts do not apply to extensions/modifications. Cannot be applied to reservations already booked. Only one promotion discount per thirty days can be used by the same guest at the same hotel location. 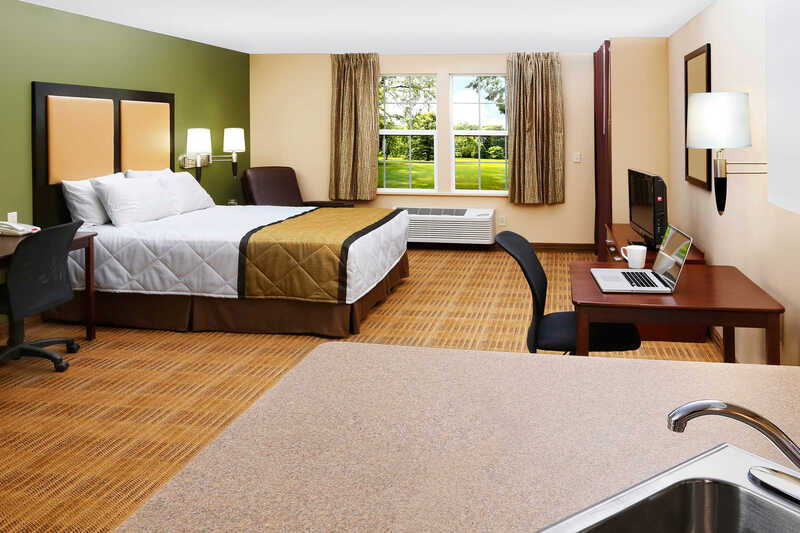 Offer valid only at Extended Stay America hotels. Thanks to the generosity of Extended Stay America, one lucky winner will win a Two FREE Nights’ Stay at Extended Stay America**! Use the Rafflecopter widget below to enter to win. It may take a moment to load. Giveaway ends at 11:59pm EST on Tuesday, March 7th. Good luck! **Offer good for one reservation booked online by 3/31/17, with a departure/check-out date on or before 6/30/17. The two free nights must be used within the same stay, and any unused free nights will be forfeited. The lowest-rated two nights within your stay will be deducted from your bill upon check-out. Reservations are based on availability and must be made online at ESA.com. Additional restrictions and blackout dates may apply. Offer cannot be combined with any other offer, discount or special rate, including Advanced Purchase. Valid only on original reservations and not on any reservation extensions. Offer is non-transferable, non-cancelable and not redeemable for cash or credit. Offer not valid on current or pending reservations. 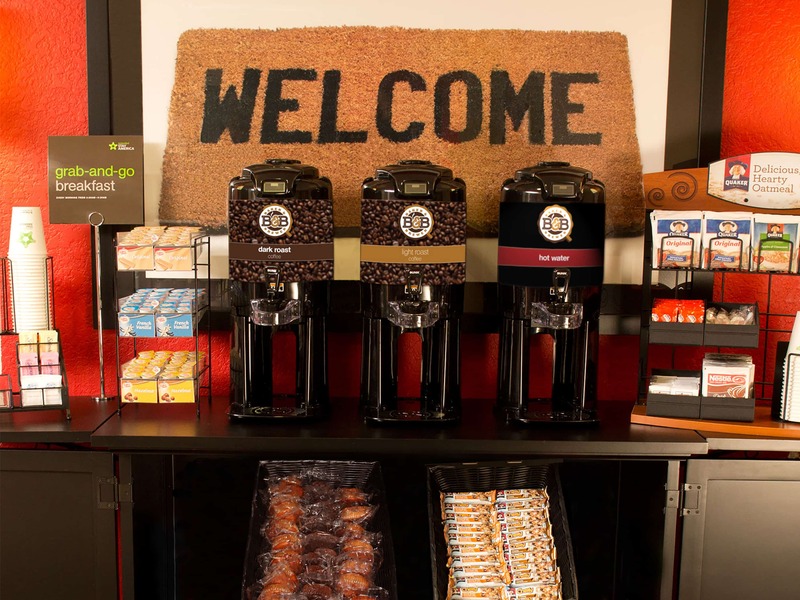 Offer valid only at Extended Stay America brand hotels. I learned that i can join today and receive 20% off. I love saving money and finding good deals. Weve been wanting to go to Florida so I seen west palm beach is on the list..thats a plus!